Leury Bonilla does not have any MLB stats for the season. November 6, 2015 3B Leury Bonilla elected free agency. July 1, 2015 Tacoma Rainiers activated 3B Leury Bonilla from the 7-day disabled list. June 17, 2015 Tacoma Rainiers placed 3B Leury Bonilla on the 7-day disabled list. May 4, 2015 3B Leury Bonilla assigned to Tacoma Rainiers from Jackson Generals. April 23, 2015 3B Leury Bonilla assigned to Jackson Generals from Tacoma Rainiers. 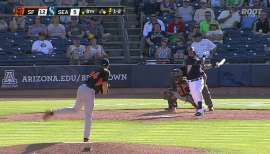 March 21, 2015 3B Leury Bonilla assigned to Seattle Mariners. November 17, 2014 3B Leury Bonilla assigned to Tacoma Rainiers. November 12, 2014 Seattle Mariners signed free agent 3B Leury Bonilla to a minor league contract. April 10, 2014 Tacoma Rainiers activated 3B Leury Bonilla from the 7-day disabled list. April 3, 2014 Tacoma Rainiers placed 3B Leury Bonilla on the 7-day disabled list. March 15, 2014 3B Leury Bonilla assigned to Seattle Mariners. November 11, 2013 3B Leury Bonilla assigned to Tacoma Rainiers. November 6, 2013 Seattle Mariners signed free agent 3B Leury Bonilla to a minor league contract. November 4, 2013 3B Leury Bonilla elected free agency. October 18, 2013 3B Leury Bonilla assigned to Leones del Escogido. October 17, 2013 Leury Bonilla assigned to Estrellas de Oriente. August 9, 2013 Tacoma Rainiers activated 3B Leury Bonilla from the 7-day disabled list. July 13, 2013 Tacoma Rainiers placed 3B Leury Bonilla on the 7-day disabled list. June 18, 2013 3B Leury Bonilla assigned to Tacoma Rainiers from Jackson Generals. April 30, 2013 Leury Bonilla assigned to Jackson Generals from Tacoma Rainiers. April 19, 2013 Leury Bonilla assigned to Tacoma Rainiers from Jackson Generals. April 3, 2013 Leury Bonilla assigned to Jackson Generals from Tacoma Rainiers. March 19, 2013 3B Leury Bonilla assigned to Seattle Mariners. January 8, 2013 Leury Bonilla assigned to Tacoma Rainiers. December 19, 2012 Seattle Mariners signed free agent 3B Leury Bonilla to a minor league contract. November 2, 2012 3B Leury Bonilla elected free agency. June 3, 2012 3B Leury Bonilla assigned to Jackson Generals from Tacoma Rainiers. April 10, 2012 Leury Bonilla assigned to Tacoma Rainiers from Jackson Generals. April 4, 2012 Leury Bonilla assigned to Jackson Generals from High Desert Mavericks. March 16, 2012 3B Leury Bonilla assigned to Seattle Mariners. December 21, 2011 3B Leury Bonilla assigned to Leones del Escogido. July 31, 2011 Leury Bonilla assigned to High Desert Mavericks from Jackson Generals. June 29, 2011 Leury Bonilla assigned to Jackson Generals from Tacoma Rainiers. June 16, 2011 Leury Bonilla roster status changed by Tacoma Rainiers. 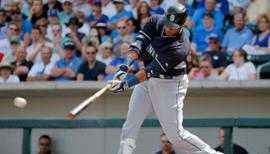 May 31, 2011 Tacoma Rainiers placed OF Leury Bonilla on the 7-day disabled list. March 28, 2011 OF Leury Bonilla assigned to Tacoma Rainiers from Jackson Generals. March 19, 2011 3B Leury Bonilla assigned to Seattle Mariners. April 5, 2010 Leury Bonilla assigned to West Tenn Diamond Jaxx from High Desert Mavericks. October 16, 2009 2B Leury Bonilla assigned to Estrellas de Oriente. July 9, 2009 Leury Bonilla assigned to High Desert Mavericks from West Tenn Diamond Jaxx. June 4, 2009 Leury Bonilla roster status changed by West Tenn Diamond Jaxx. May 19, 2009 West Tenn Diamond Jaxx placed SS Leury Bonilla on the 7-day disabled list. May 11, 2009 3B Leury Bonilla assigned to West Tenn Diamond Jaxx from AZL Mariners. May 11, 2009 3B Leury Bonilla assigned to AZL Mariners from High Desert Mavericks.